Some of the food poisoning victims were taken to the Governor Celestino Gallares Memorial Hospital for treatment on Wednesday, July 27, 2016. 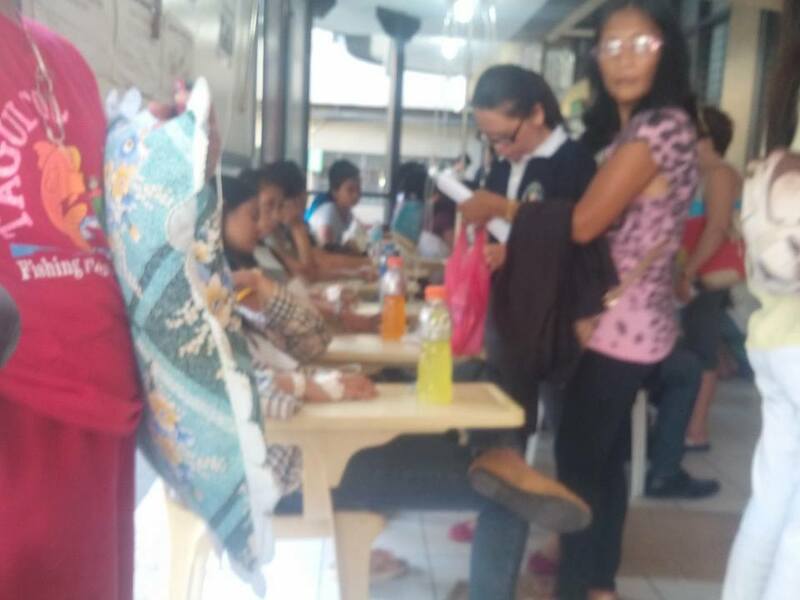 The Provincial Health Office (PHO) yesterday pinpointed contaminated chicken internal organs as the cause behind the food poisoning of 31 Grade 11 students of San Roque National High School in Alburquerque on Tuesday. Doctor Greg Sodusta, assistant provincial health officer, said that some of the victims bought the chicken internal organs on Monday for their acquaintance party the next day but failed to refrigerate the poultry parts. The three kilos of internal organs were stored in a pale which contained ice, but already started to emit foul smell before the students could cook them. The students, however, rinsed the chicken parts to rid them of their odor and still proceeded to cook them, Sodusta said. The ‘butse-butse’ dish was then served during the acquaintance party. According to Sodusta, food poisoning is the bodyâ€™s reaction when food contaminated with â€œbacteria, virus, external toxins, and toxins from the food itselfâ€ are consumed. Symptoms of the condition include vomiting, nausea, and diarrhea while more serious cases can adversely affect the nervous system.